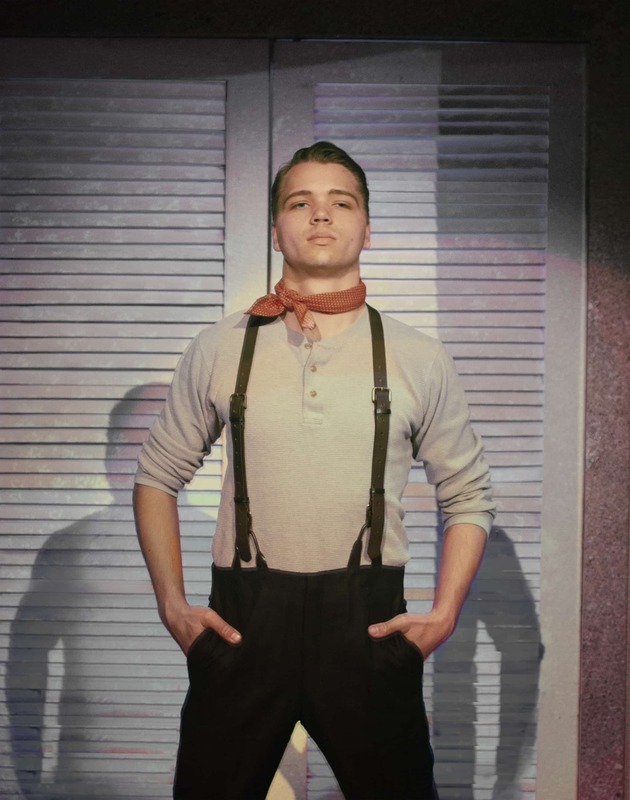 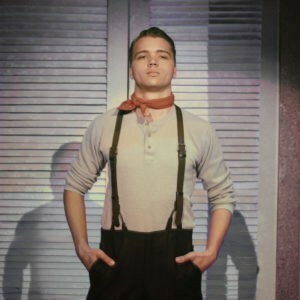 Living life as a peasant in Argentina, narrator Che (Matthew Osvog) stands proud as the voice of the people in Arizona Repertory Theatre’s university production of EVITA (photo by Ed Flores). 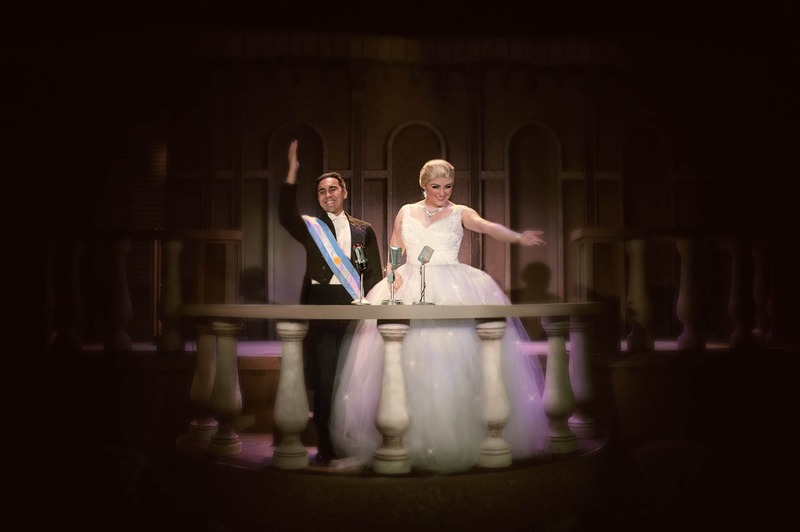 Juan Perón (Alex Gossard) and his second wife, Eva (Shira Elena Maas), greet their adoring followers in Argentina, circa 1946, featured in UA Arizona Repertory Theatre’s university production of EVITA (photo by Ed Flores). 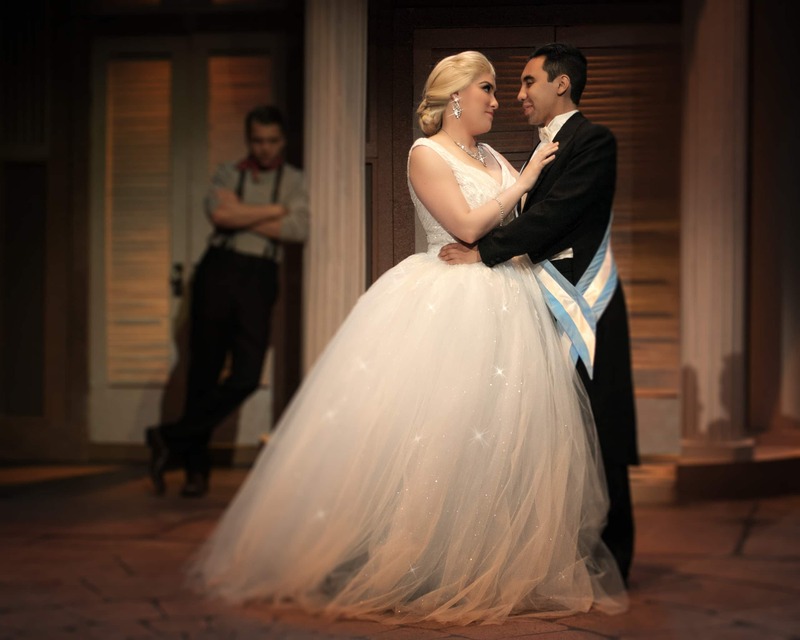 Eva (Shira Elena Maas) and Juan Perón (Alex Gossard) experience a political and powerful romance as Che (Matthew Osvog) glowers at them (photo by Ed Flores). 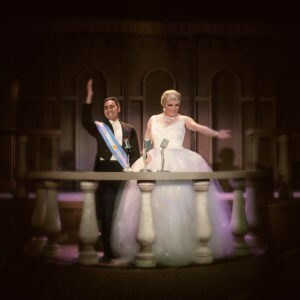 Eva Perón (Shira Elena Maas) gives a speech for the ages as her enamored Argentinians cheer for her in Arizona Repertory Theatre’s romantic and powerful production of EVITA (photo by Ed Flores). 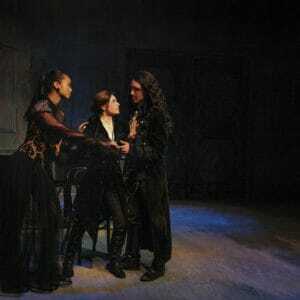 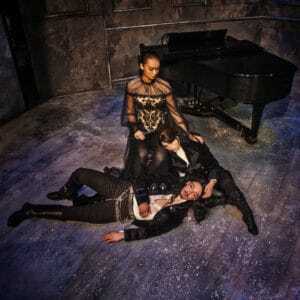 Lady Olivia (Vinessa Vidotto) is in love with “Cesario”/Viola (Tyler Reaser), but doesn’t realize Cesario is really a woman. 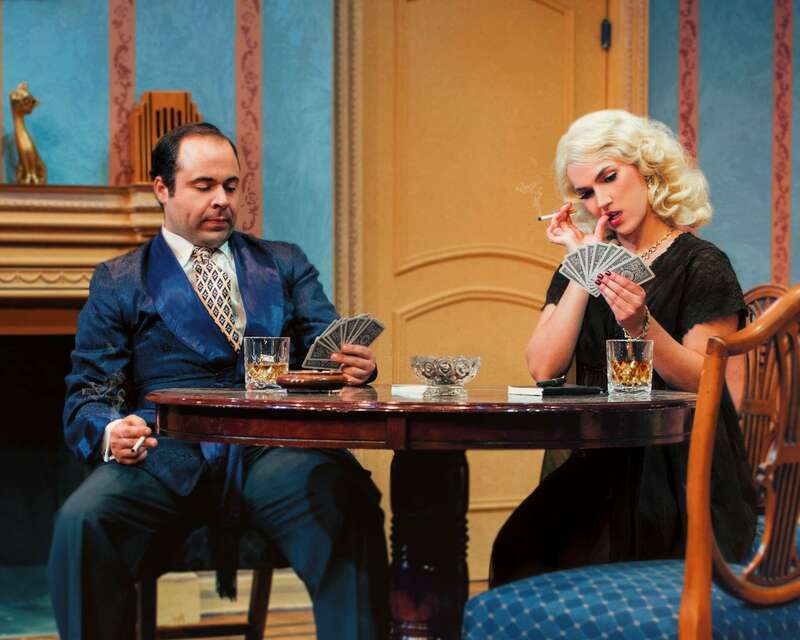 Viola is in love with Duke Orsino (Colt Watkiss) & Duke Orsino is in love with Lady Olivia in this timeless production of Shakespeare’s TWELFTH NIGHT at UA’s Arizona Repertory Theatre (photo by Ed Flores). 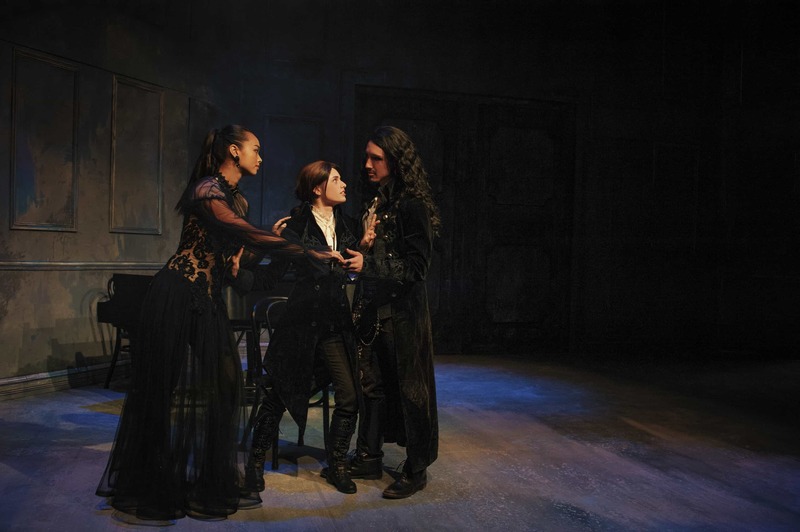 The bizarre love triangle with Lady Olivia (Vinessa Vidotto), Viola (Tyler Reaser) disguised as a boy, & Duke Orsino (Colt Watkiss) in TWELFTH NIGHT presented by UA’s Arizona Repertory Theatre (photo by Ed Flores). 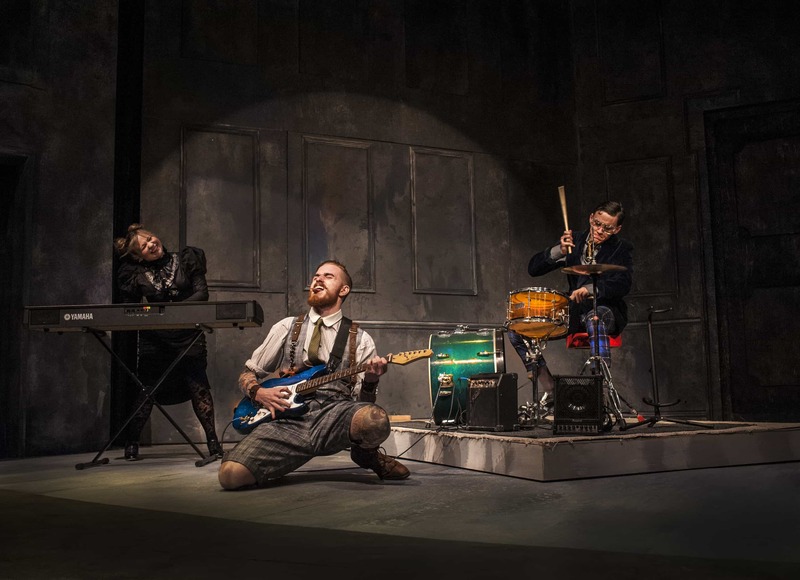 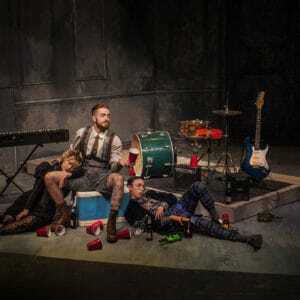 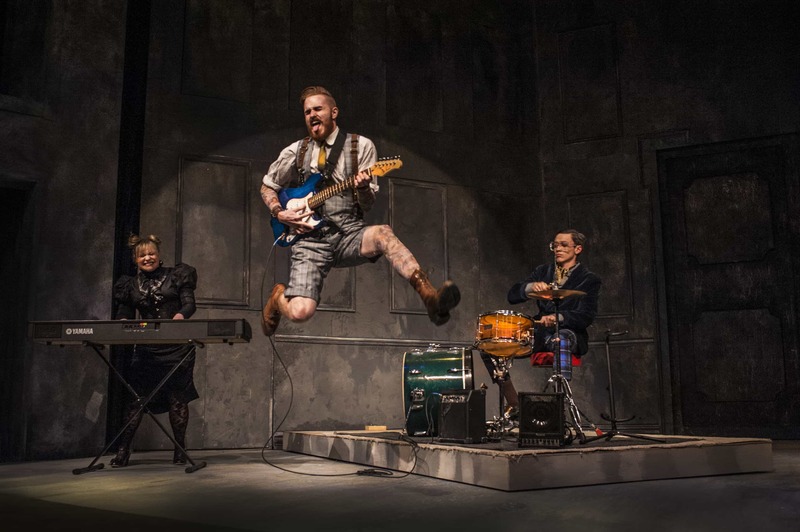 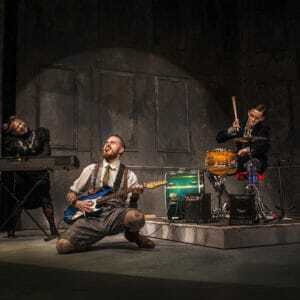 Olivia’s uncle, Sir Toby Belch (Kasey Caruso), rocks out with Olivia’s servant, Maria (Dominique Ruffalo) and friend, Sir Andrew Aguecheek (Connor Griffin), in Shakespeare’s comedy, TWELFTH NIGHT, presented by UA’s Arizona Repertory Theatre (photo by Ed Flores). 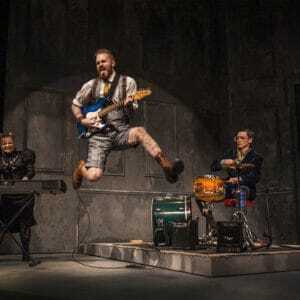 “If music be the food of love, play on!” Sir Toby Belch (Kasey Caruso) is captured in a musically euphoric leap with Sir Andrew Aguecheek (Connor Griffin) on drums and Maria (Dominique Ruffalo) accompanying on keys in TWELFTH NIGHT presented by UA’s Arizona Repertory Theatre (photo by Ed Flores). 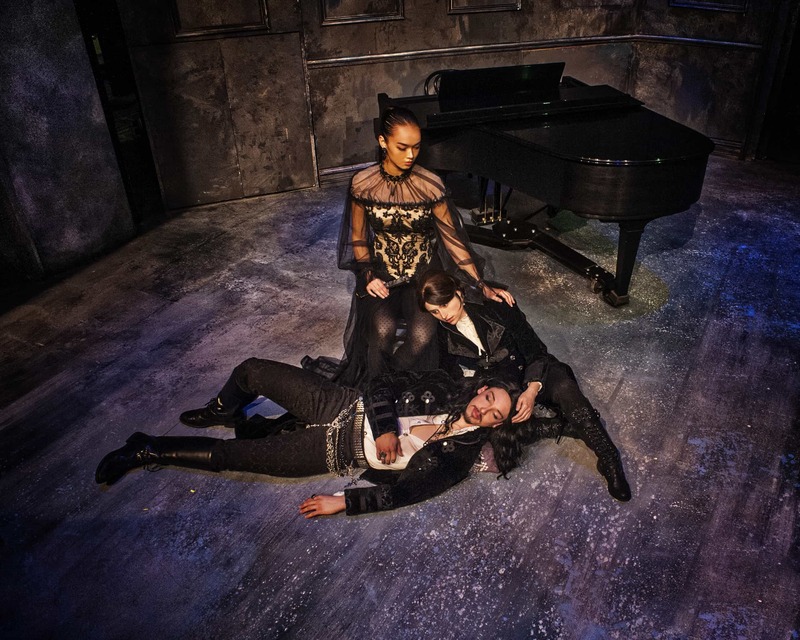 Merriment has its toll in TWELFTH NIGHT by William Shakespeare, with Maria (Dominique Ruffalo), Sir Toby Belch (Kasey Caruso) & Sir Andrew Aguecheek (Connor Griffin) presented by UA’s Arizona Repertory Theatre (photo by Ed Flores). 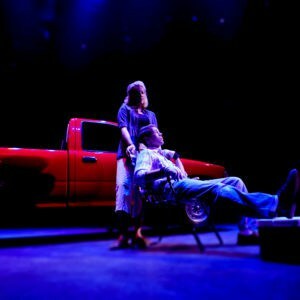 Hal (Alec Williams) steals an impulsive kiss from Catherine (Cera Naccarato) in Arizona Repertory Theatre’s production of PROOF (photo by Ed Flores). 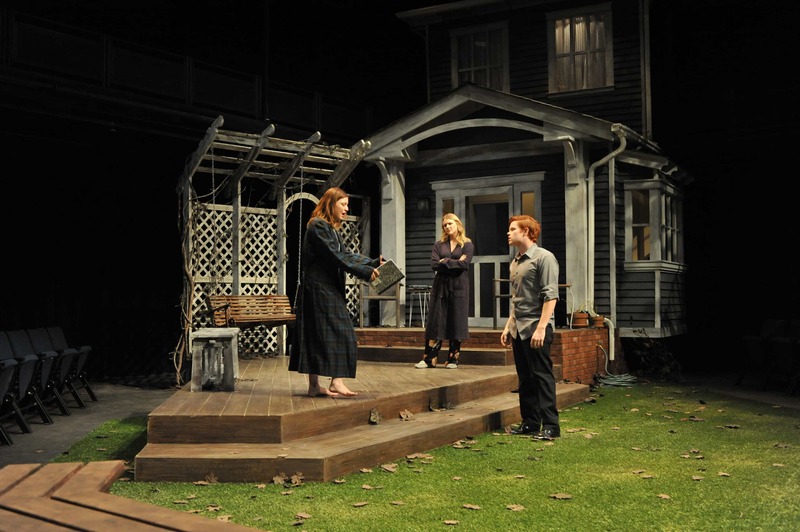 The struggle is on as Hal (Alec Williams) and Claire (Kelly Hajek) try to figure out if it was really Catherine (Cera Naccarato) who wrote the ground-breaking proof in UA Arizona Repertory Theatre’s production of PROOF directed by Hank Stratton (photo by Ed Flores). 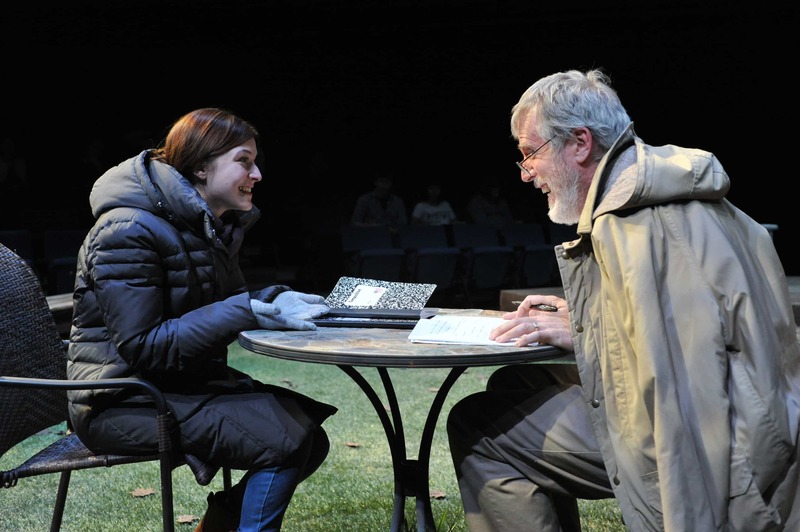 Catherine (Cera Naccarato) is encouraged by her father, Robert (David Morden), as he declares his mind is working they way it should once again in PROOF, presented by UA Arizona Repertory Theatre running through Feb 26th (photo by Ed Flores). 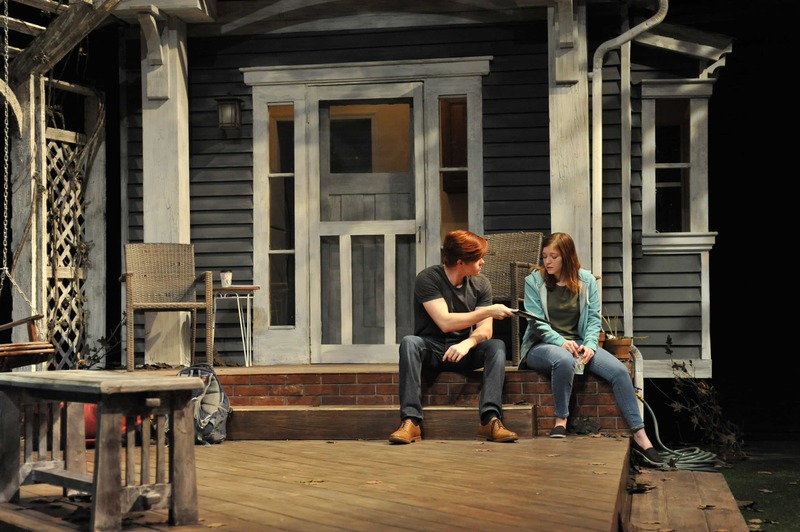 Hal (Alec Williams) apologizes to Catherine (Cera Naccarato) in PROOF, presented by UA Arizona Repertory Theatre, directed by Hank Stratton (photo by Ed Flores). 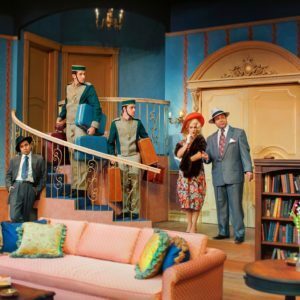 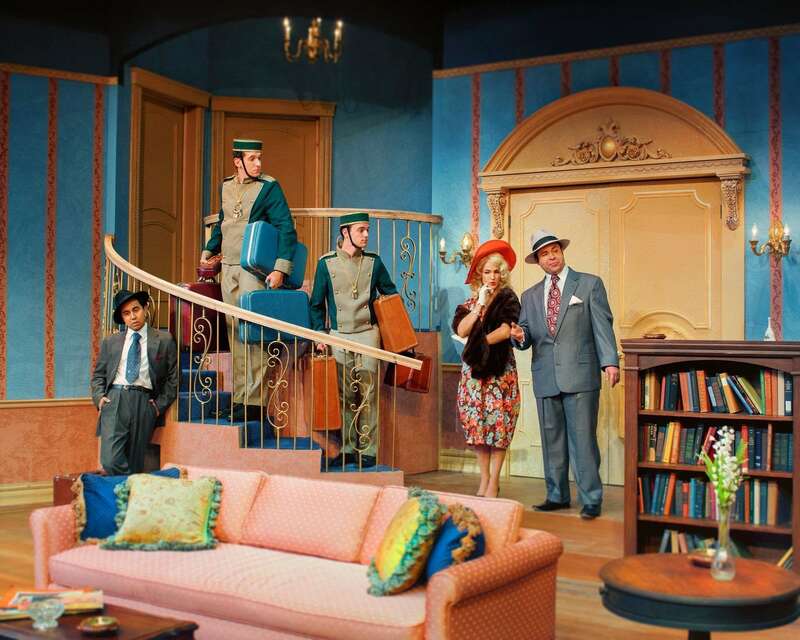 Billie Dawn (Marissa Munter) and Harry Brock (Carlos Lee Hall) arrive in Washington, D.C., met by Harry’s brother, Eddie Brock (Alex Gossard), and bellhops (Quinn Corrigan and Adam Grodman) in BORN YESTERDAY presented by Arizona Repertory Theatre from November 6 – December 4, 2016 (photo by Ed Flores). 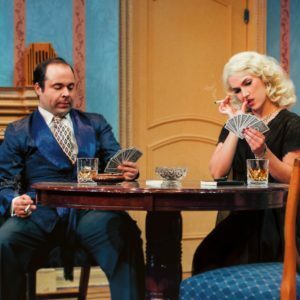 Harry (Carlos Lee Hall) and Billie (Marissa Munter) play gin rummy in UA Arizona Repertory Theatre’s production of BORN YESTERDAY by Garson Kanin (photo by Ed Flores). 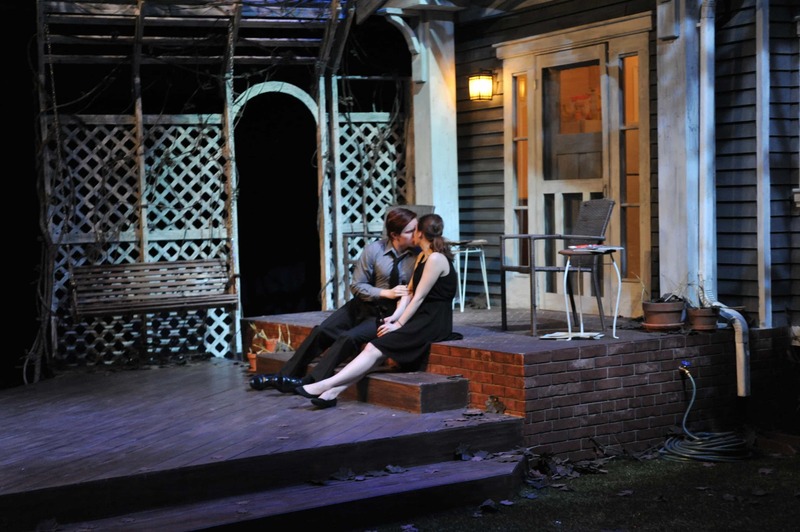 Billie Dawn (Marissa Munter) pulls Paul Verrall (Matthew Osvog) in for a kiss in BORN YESTERDAY presented by Arizona Repertory Theatre at the UA, running November 6 – December 4, 2016 (photo by Ed Flores). 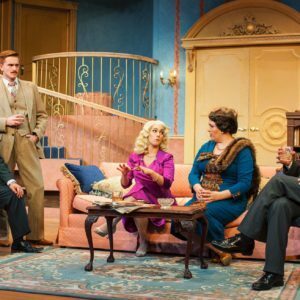 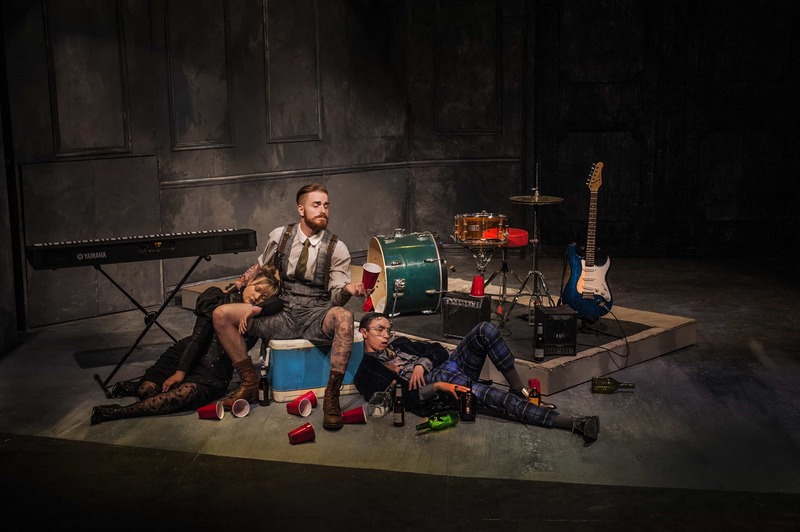 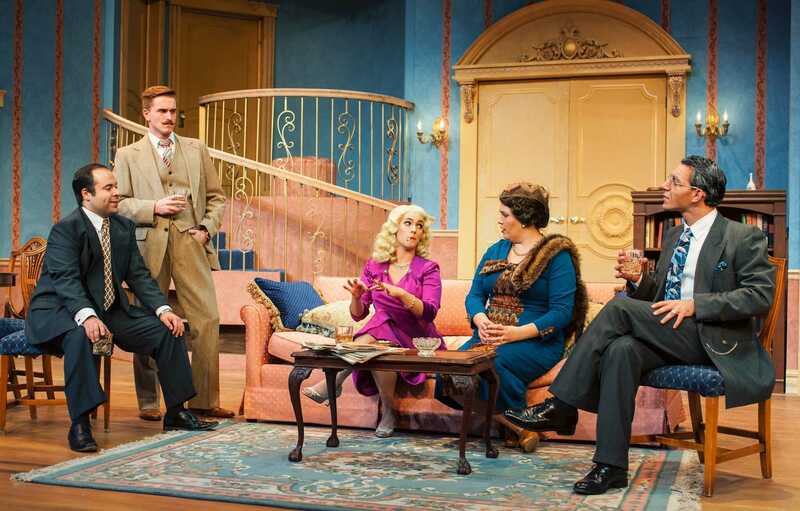 Senator Norval Hedges (Alec Michael Coles) and his wife (Kristian Arsenault) come for drinks and Billie puts her foot in her mouth in Arizona Repertory Theatre’s comedy production of BORN YESTERDAY (photo by Ed Flores). 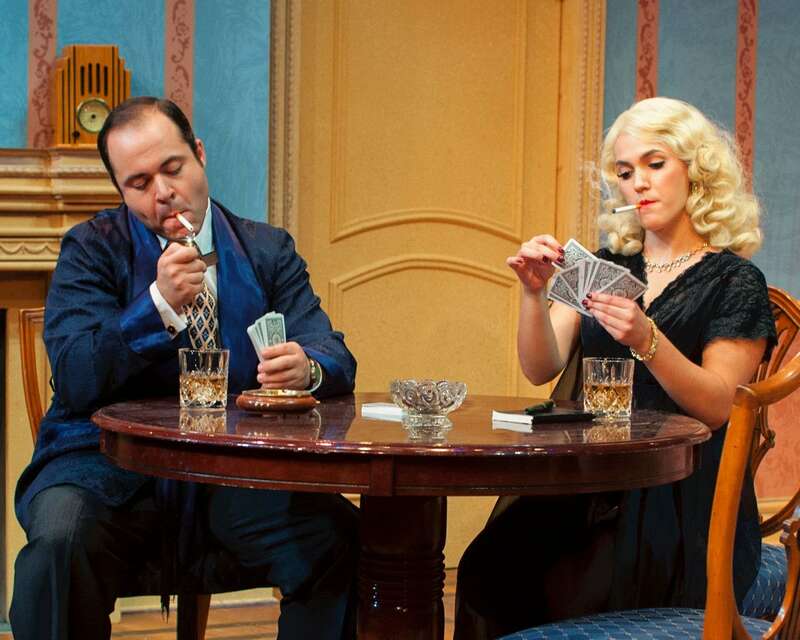 Harry (Carlos Lee Hall) and Billie (Marissa Munter) in BORN YESTERDAY presented by Arizona Repertory Theatre at the UA (photo by Ed Flores). 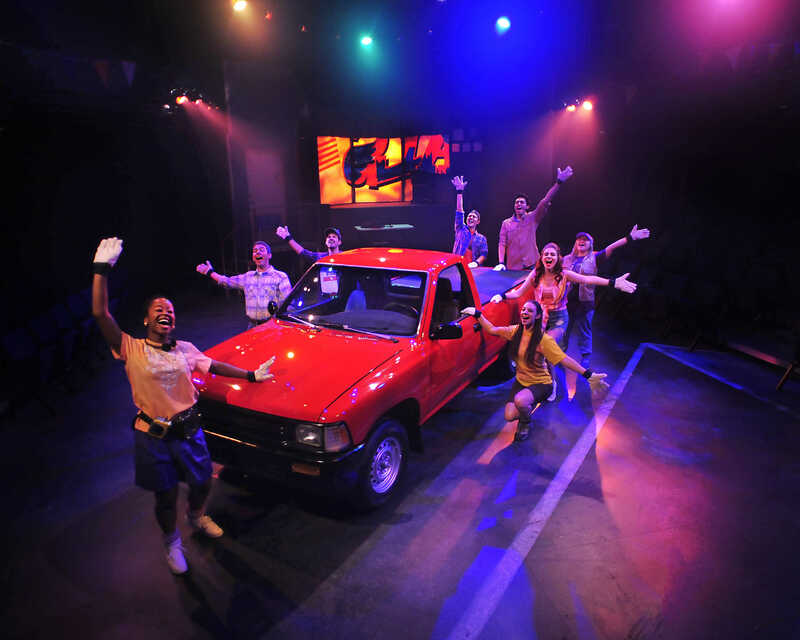 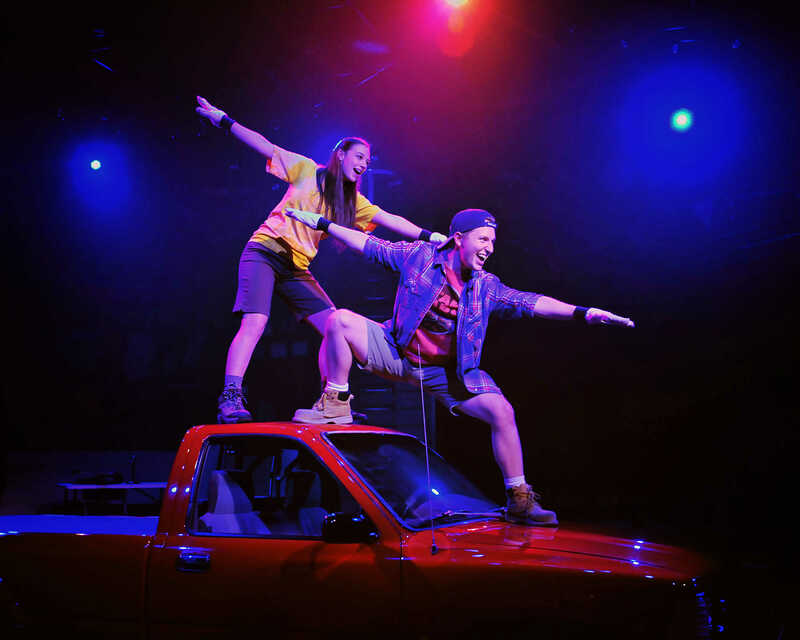 The contestants of calamity who compete to win a brand new truck in UA Arizona Repertory Theatre’s production of HANDS ON A HARDBODY, running Oct 16th – Nov 6th, 2016 (photo by Ed Flores). 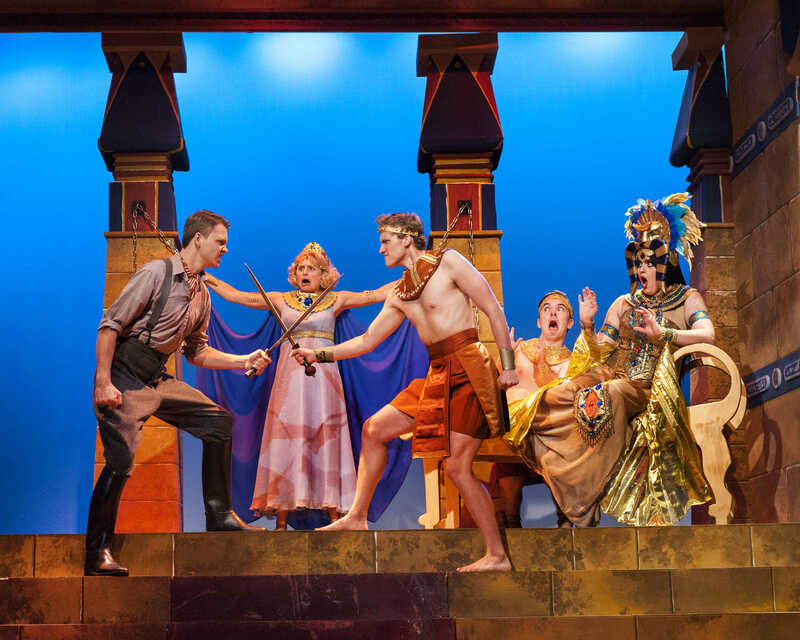 Clockwise from the front: Norma (Adia Bell), JD (Keenan Larson), Benny (Brett Parker Dixon), Greg (Conner Morley), Jesus (Daniel Lopez), Janis (Dominique Ruffalo), Heather (Nicole Knox) and Kelli (Devon Prokopek). 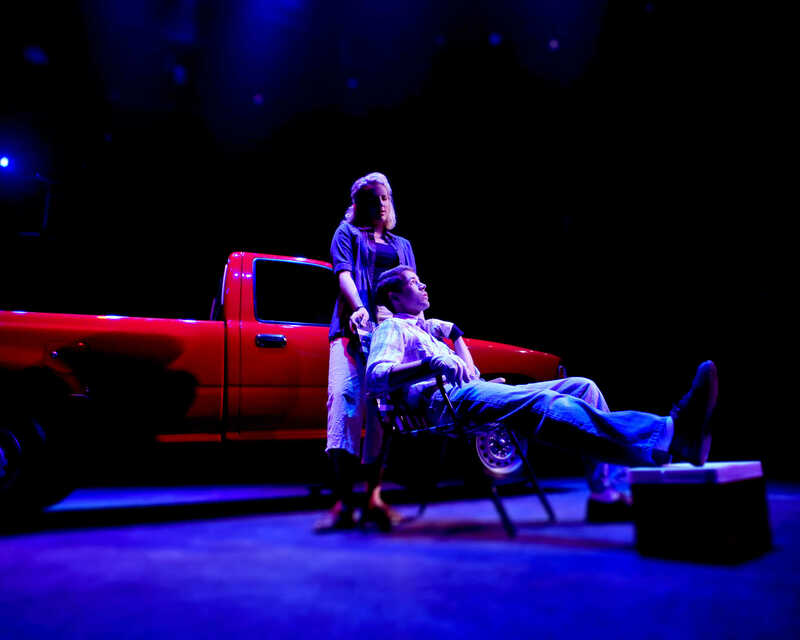 Virginia (Kailyn Toussaint) attempts to help her husband, JD (Keenan Larson), relax during one of his 15-minute breaks from the contest to win a brand new truck in HANDS ON A HARDBODY, presented by UA Arizona Repertory Theatre from Oct 16th – Nov 6th, 2016 (photo by Ed Flores). 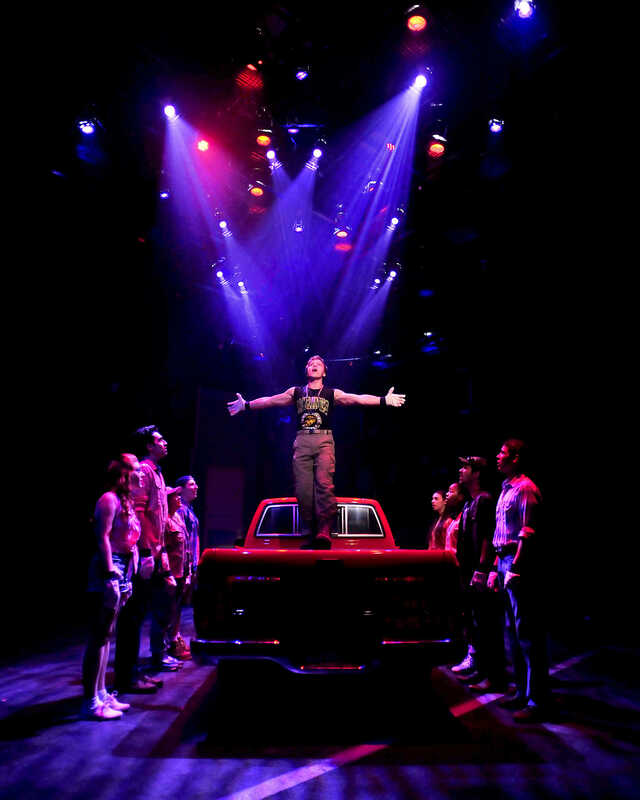 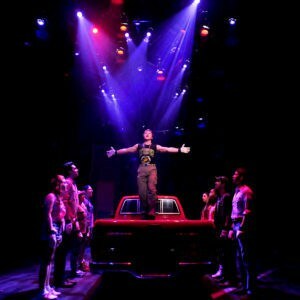 Chris (Josh Dunn) sings “Stronger” as the other contestants circle him in HANDS ON A HARDBODY, a musical featuring country, rock and gospel genres of music, presented by UA Arizona Repertory Theatre, running Oct 16th – Nov 6th, 2016 (photo by Ed Flores). 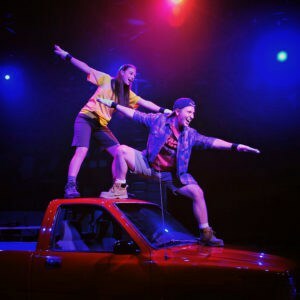 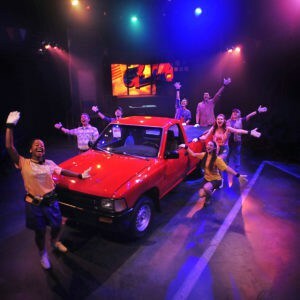 Kelli (Devon Prokopek) and Greg (Conner Morley) perform the heartfelt song, “I’m Gone,” as they bond and decide to go away together if one of them wins the truck in Arizona Repertory Theatre’s production of HANDS ON A HARDBODY, a musical about 10 contestants who compete in the Texas sun for days to win a truck (photo by Ed Flores). 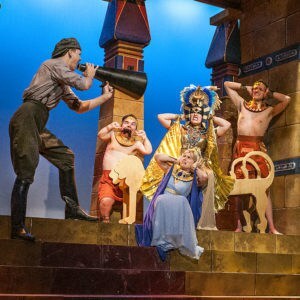 Extra turned director, Phil (Matthew Osvog) goes a bit too far in this scene with Carl (Thomas Tyler West), the Queen (Shira Maas), Benny (Zachary Zupke) and Louise (Tyler Reaser) from the comedy EPIC PROPORTIONS, presented by Arizona Repertory Theatre at the University of Arizona (photo by Ed Flores). 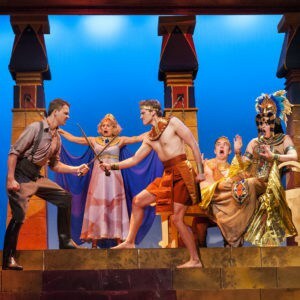 Phil (Matthew Osvog) and Benny (Zachary Zupke) fight over Louise (Tyler Reaser), the lady they both claim to love behind the scenes, as Carl (Thomas Tyler West) and the Queen (Shira Maas) look on in Arizona Repertory Theatre’s epic comedy, EPIC PROPORTIONS (photo by Ed Flores). 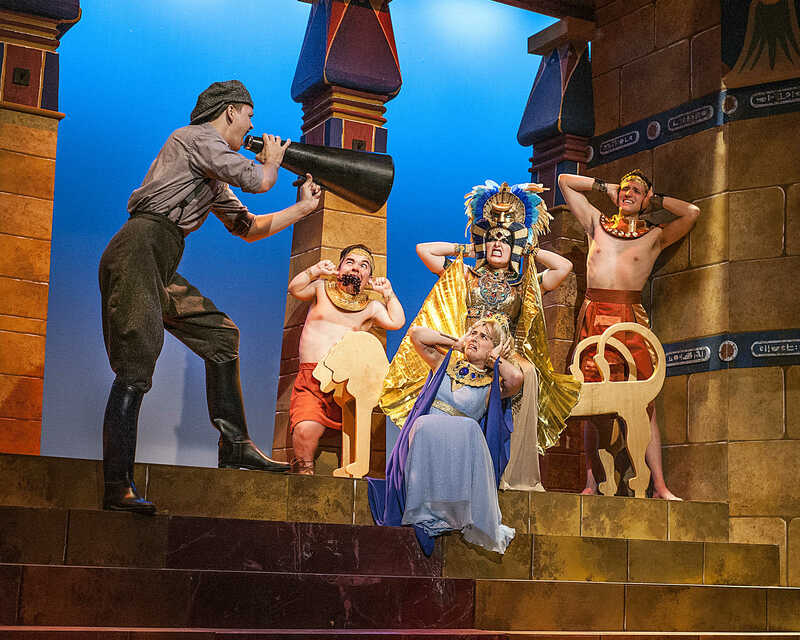 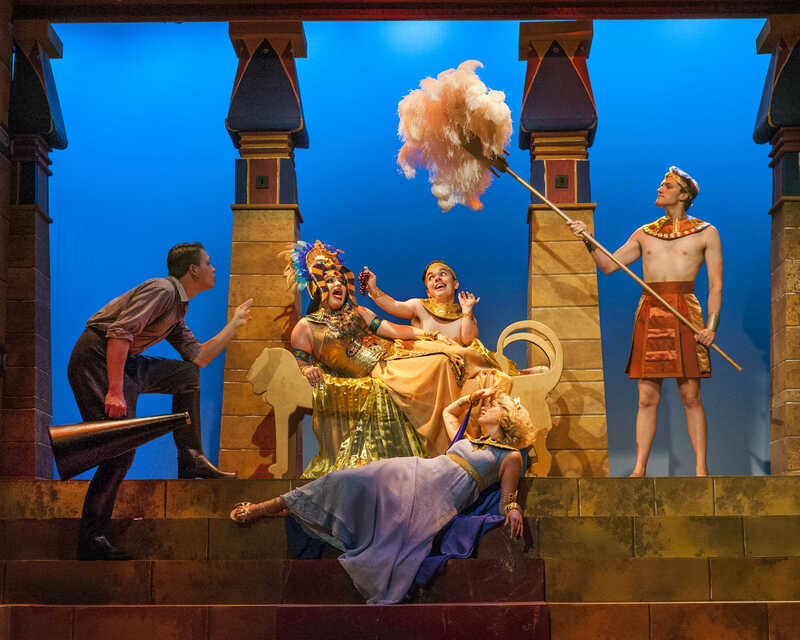 Phil (Matthew Osvog) directs an epic scene in Arizona Repertory Theatre’s production of EPIC PROPORTIONS with the Queen (Shira Maas), Carl (Thomas Tyler West), Louise (Tyler Reaser) and Benny (Zachary Zupke), Phil’s brother (photo by Ed Flores). 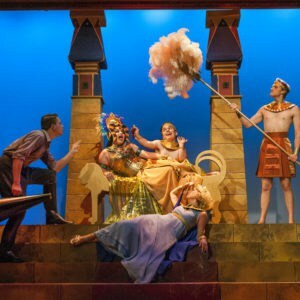 Louise (Tyler Reaser) must decide between Benny (Zachary Zupke) or Phil (Matthew Osvog), two brothers who have fallen in love with her in the audacious comedy by Larry Coen and David Crane, EPIC PROPORTIONS, presented by Arizona Repertory Theatre at the University of Arizona (photo by Ed Flores).